Olunga returns to action, bags a brace! 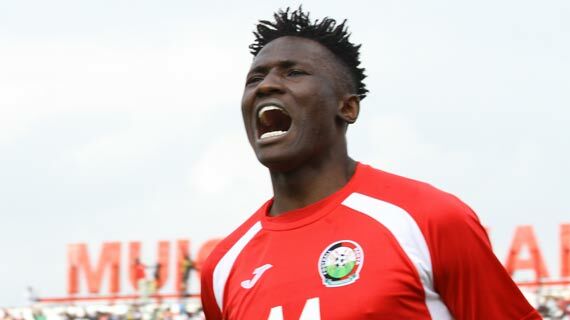 Michael Olunga announced his return from injury, continuing where he stopped as he netted twice for his Japanese second tier side Kashiwa Reysol as they beat Varen Nagasaki 3-0 on Wednesday at their Hitachi Stadium backyard. The Harambee Stars forward had been out for the last three weeks after pulling his hamstring, missing kenya’s AFCON qualifier against Ghana. But he showed his injury spell had not slowed him down scoring twice in each half after Taiyo Koga had given Kashiwa the lead. Reysol picked the morale boosting victory coming hot on the heels of back to back losses and Olunga’s return definitely boosted them. With the victory, Kashiwa moved up the J2 league standings to third with 15 points as they step up their bid to earn promotion back to the top tier. They are only separated from the top team Ventrofet Kofu by goal difference.